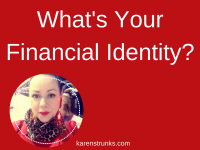 I could go on, and if I haven’t listed your PERSONAL money dragon, then I’m guessing you may have identified some. 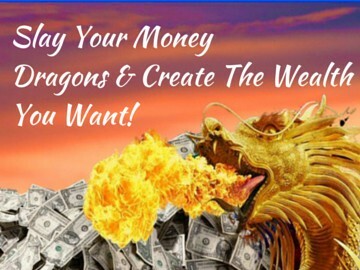 It’s time to slay the money dragon that’s holding you back from creating the money in your business that you deserve. It’s up to you. You can find solutions that match your money goals or you can whine the lack of money. I know it’s hard to stay motivated when your bank account is looking a little empty – or A LOT empty! I’ve been there! In 7 years in business, you bet I have. I’ve talked about the time when I had ZERO in my bank account with my mortgage due the next day. If I hadn’t worked on my confidence around money and my mindset I wouldn’t have experienced multiple $8k days. But it’s when your bank account is low that you need to dig deep and muster up your motivation and take ACTION before you sweep yourself into a poverty mindset. That won’t serve you one little bit! 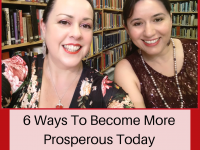 Get around like-minded people who have the attitudes around money that support your attitudes and where you REALLY want to be? The biggest leaps I’ve been able to make in my business is when I’ve join masterminds with people who are where I want to be and when I’ve worked with mentors. This really stretches you and makes you aim even higher! If your friends and family talk about money like there’s never enough, that everything’s expensive, that the economy is down the drain, that there’s not enough jobs, that there are cuts here and cuts there and on and on…guess what story you’ll be telling yourself?! GET RID OF THE NAYSAYERS! They are poisonous. Success, wealth, business and life creation takes serious energy and it’s too valuable a mission to have anything in place (and anyONE too!) that takes up that energy even in a small way that isn’t right for you. FEED your mind with the good stuff. Your mindset is EVERYTHING. You’ve got to get it set in the right place and KEEP IT THERE. You are going to need it to slay your money dragons. Think that’s unrealistic? Good for you. You need to go here. Are you going to Hope your money goals happen or are you Going to Plan to make sure they happens? 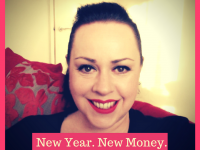 Join me on Monday 15th December for my FREE live online training on How To Slay Your Money Dragons & Get Clear About What It REALLY Takes To Make Money On YOUR Terms!